Difficult Dialogues is an annual forum examining issues of contemporary relevance in South Asia. UCL are joining Difficult Dialogues 2018 as knowledge partners to focus on how Indian gender constructs affect fundamental aspects of daily lives and citizenship through three panel discussions exploring issues of gender and masculinity. 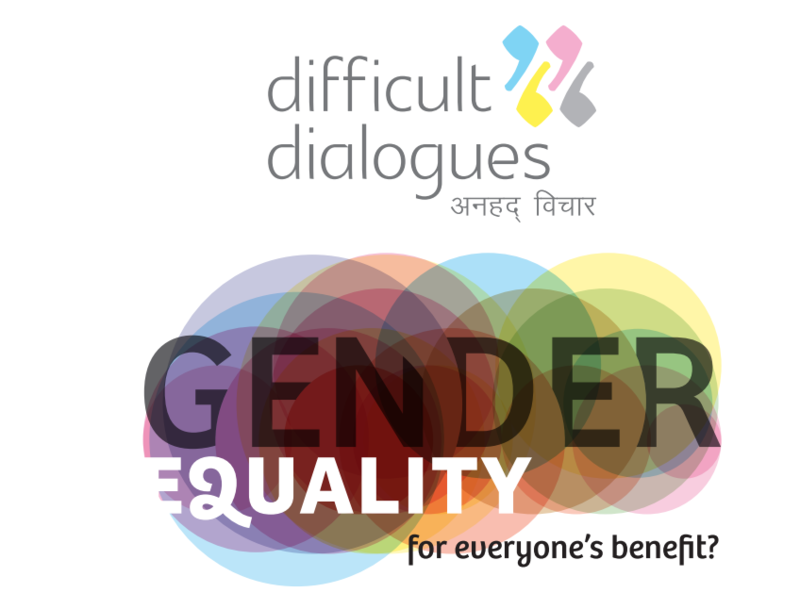 The Centre for Gender and Global Health is delighted to be joining Difficult Dialogues 2018 to take part in a pressing dialogue around gender constructs in India. UCL is partnering with Difficult Dialogues for the second year in a row, after working with Difficult Dialogues 2017 to explore 'India's Health - A Grand Challenge'. The panels will involve a mixture of speakers from UCL and Indian academics, NGO representatives and activities.Full details of UCL's panel discussions and details of panellists can be found here, where you can also register to attend. Footage from the Difficult Dialogues 2018 discussions and debates, including UCL's panels, will be available after the event.